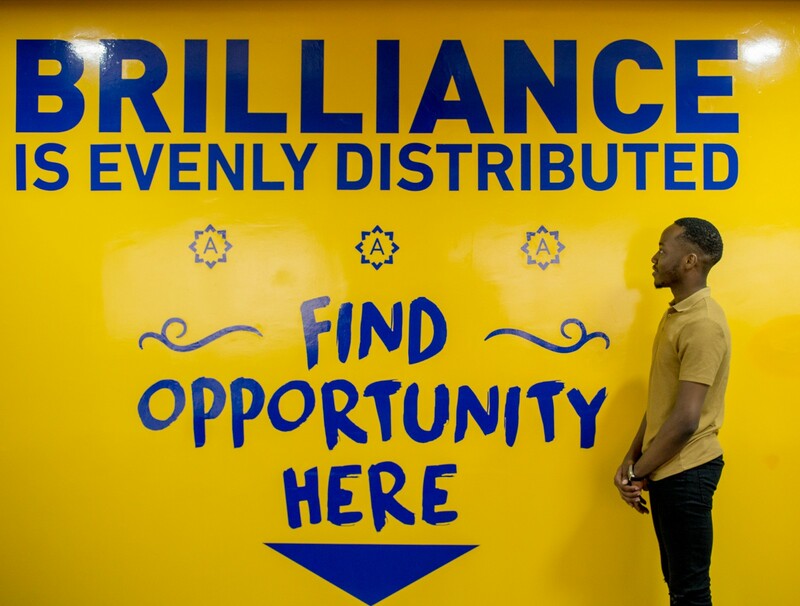 "Brilliance is evenly distributed; opportunity is not". This is a saying made popular by global technology company – Andela. The quote is not only inscribed on the walls of the hearts of Andelans, but also on their office walls. Recently, their VP Global operations, Seni Sulyman tweeted about how a former company gateman got employed as a developer. This is superb, to say the least, for him to take such a giant career leap. It presents a scenario very uncommon among folks like that. Andela is a company building a network of technology leaders on the African continent. At the same time, they bridge the divide between the U.S.A and Africa's technology sectors. After an intense 6-month training program, new recruits (AKA "fellows") get placed to work with partner companies home and abroad. Several surveys have revealed that a lot of Nigerian developers are self-taught. Even the Computer Science Graduates whom you’ll expect to be code-peddlers can’t program as such. So, the ones that make a career out of programming have to do more, either by learning online or via apprenticeships. According to Devcenter, 84% of Nigerian developers are self-taught. This goes to show that with grit and interest, anyone can become a developer. Before the creation of Publiseer, a platform that helps artists and writers make money off the distribution of their songs and books, the twin founders, Chika and Chidi Nwaogu recorded a song and wrote a book respectively. It was their (unfruitful) search for a record label and a publisher that led them to self-produce/publish which eventually birthed Publiseer. A Co-founder of ScholarX, Maxwell Ogunfuyi, got awarded a few scholarships during his undergraduate days but felt he could have received more if he knew about them earlier. Hence, he built a platform where students in Nigeria could easily find and access scholarships. The late Samson Abioye built the Pass.ng platform after a secondary school friend of his lamented to him about the stagnation in his education due to three consecutive failures at the university entrance examinations level. Investigating the three scenarios above, it becomes clearer that people use their tech skills to solve a problem they face. To them, and many of us, tech is used to make life better in every sector. So, on the heels of the gateman-turned-developer news, how nice would it be to hear more career advancement stories?. For instance, imagine the story of a public school teacher learning how to code. His knowledge can then be used to develop an academic grade prediction tool. This could be given to his students to enable them to assess the work they need to put in to make a particular grade at the end of an academic year. What if a tomato seller could learn the basics of Microsoft Excel programming where she is able to do here inventory (tomato, in this case) management? In conclusion, for unskilled labour, learning to code might be their entry point into the skilled labour market. While for already skilled labour learning hot technologies might be what they need to advance in their career. There are many great people building technological solutions for sectors and markets they have little knowledge of. But as the saying goes “Only the wearer knows where the shoe pinches”. Hence, the probability that someone who has felt the pinch of a shoe would design a better fitting shoe than a mass market shoe-maker is higher. Let’s not be mistaken, not everyone has to be a developer. Yet, what happens to those to whom the choice (of whether to be or not to be) and platform (to learn) is not available? This week, Ngozi Okonjo-Iweala (NOI) was announced as a Twitter board member. We took a look at her antecedents and wondered if she could be Nigeria's future President.